The company Sony is recognized worldwide for the incredible quality of its cameras, although it is also recognized for the manufacture of consumer electronics, computing, mobile telephony, audio and video, video games and also professional products. Sony recently released a new camera named Alpha 9, this new camera was made especially for sports. One of its wonderful features is that it improves the speed of the approach, incorporates a touch screen and also increases the durability of the battery. It has become a great innovation among the catalogs of the best professional cameras of Sony. The arrival of this camera has taken many by surprise literally; apparently the persons in charge of the company were not aware of this new product. They only knew the rumors about making a new device, but they did not know exactly whether it was Alpha 9 or something else. People dedicated to photography criticized the company Sony because they believed that their cameras were slow when making an approach, especially when trying to photograph a sport. Sony manufacturers have acknowledged their defect and have responded to this criticism with the manufacture of the Sony Alpha 9, which has integrated a part of the technology that has already been implemented in the Xperia XZ Premium. Some experts in the photography claim that touch screens are something that hardly want in a camera, although some people consider it very useful, since a touch screen offers the facility of focusing a particular point in an image. However, to keep everyone happy and avoid some other inconveniences when using the touch screen, they decided to incorporate in the Alpha 9 a technology that makes it possible to be configured so that only half of the screen has sensitivity, in this way to bring the camera face to see through the electronic viewfinder, do not interact with the screen when touching it with the face. The only limit that has been detected to this camera is in the burst shootings, which are 20 images per second, since that is the capacity of the card. It is noteworthy that recently, Sony made the announcement of a new SD card that has 128 GB of storage, but stands out for its writing speed, 299 MB every second. The Alpha 9 offers five-axis image stability, also has the ability to record videos in 6K, but only plays them in 4K. In addition they have improved the faculty of the criterion of the battery, although in any case every good photographer charges a spare camera to avoid inconveniences. This camera is very silent, in fact the sound that it expresses on having shot a photos blast is artificial, but it also offers the option of shooting without any noise. 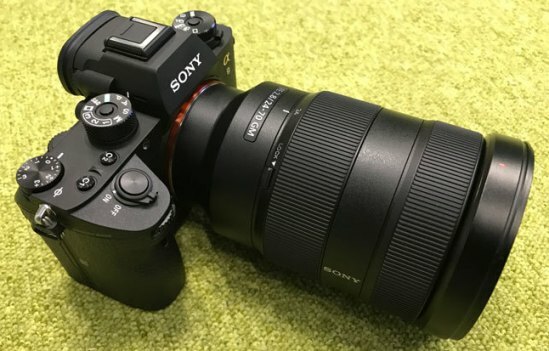 Without doubt Sony is interested in offering the best products to its customers, as everything good comes expensive; this camera is valued at a price above 5,000 euro.